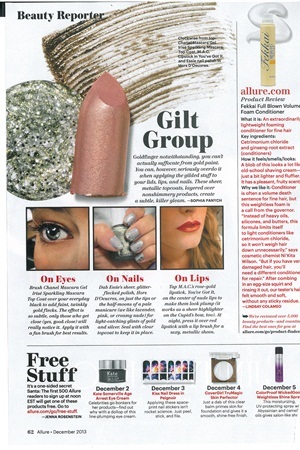 Allure's December 2013 issue recommends Essie's Hor D'Ouevres on just the tips or half moons of a light, already manicured nail. Sealing it with a clear topcoat will keep the whole thing in place. This way, you're sure not to overdo the glitz this season.